I never apologize for these cookie bars. You won’t be able to stop eating them and I’m not going to stop you. Sorry, they’re *that* good. 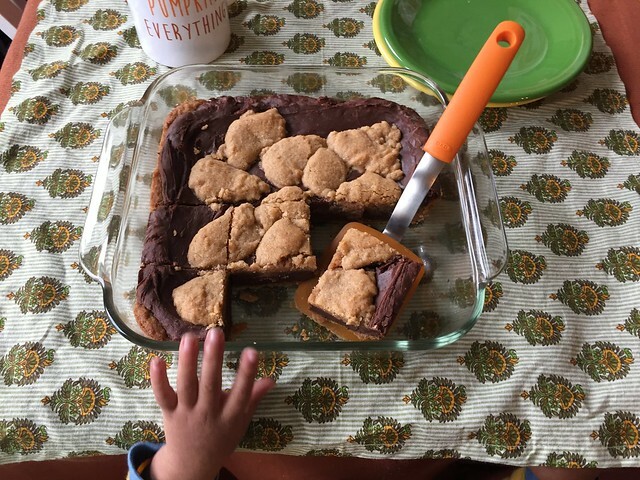 These are a variation of my Chocolate Chip Cookie Crack Bars, which I’ve written about here. I don’t apologize for those either, by the way. Instead of using refrigerated cookie dough, here I’ve used a pumpkin spice cookie mix from Krusteaz to make the dough. 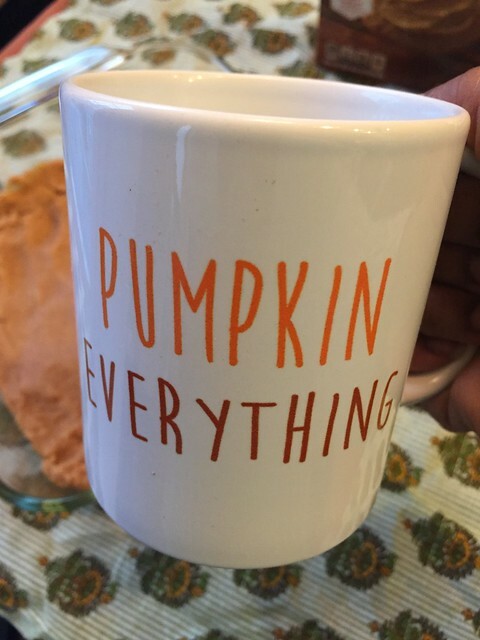 I thought it was a fun twist on the original recipe and a nod to the fall weather we’re finally getting here, because as everyone knows fall = pumpkin spice. Disclosure –Krusteaz provided me with the items described above. I did not receive any other compensation and am not obligated to post a positive review. Any opinions are my own. Preheat your oven to 350 degrees Fahrenheit. Spray an 8×8-inch baking dish with cooking spray. Prepare cookie dough according to package directions and spread 3/4 over the bottom of the dish. Combine the chocolate chips and condensed milk in a microwave-safe bowl and heat in 30 second intervals, stirring after each until chocolate is melted. It took me a minute total to get it all melted. Add ground cinnamon and pumpkin pie spice to chocolate mixture if you want. 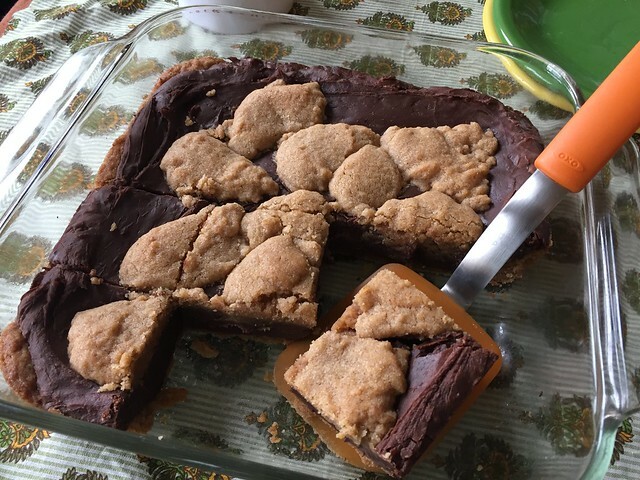 Spread the chocolate and condensed milk mixture evenly over the cookie dough crust. Now take the remaining cookie dough and crumble over the top. Bake for 30 minutes, or until top layer of cookie dough is golden brown. Cool, then slice into squares. It is way too hot to be baking desserts, in my opinion. Way too hot. Luckily I’ve come up with an easy cheesecake-inspired dessert that doesn’t require you to turn on an oven! If you like blueberry cheesecake, then you’ll love these. As a new member of the Walkers Shortbread Society, I was invited to participate in this month’s campaign, which paired Walkers Shortbread with Bonne Maman Wild Blueberry Preserves in honor of National Blueberry Month. I wanted to make something easy but indulgent-tasting, as well as something portable to take to summer parties and get-togethers. 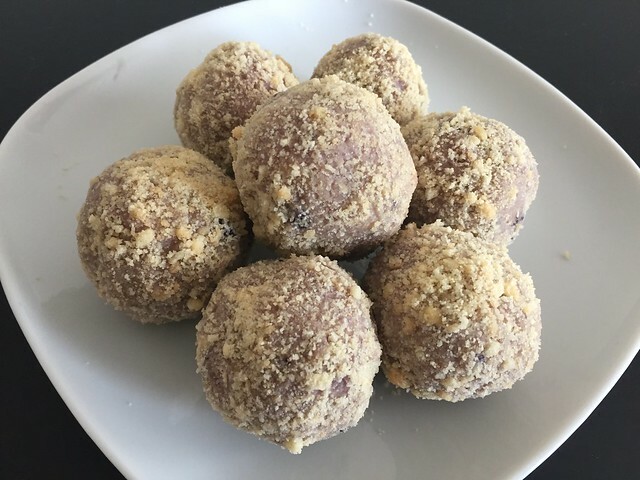 I hit the mark on all three with these cheesecake balls! Instead of the usual graham cracker crust, I’ve used shortbread cookie crumbs both inside the filling and as a coating. The slight tartness from the wild blueberry preserves plus the fragrant lemon zest helps offset the richness from the cream cheese and the shortbread. The cheesecake mixture is chilled before rolling into balls and being coated in shortbread cookie crumbs, making these perfect on a hot summer day. I’ve got to say, I’m really liking the idea of using shortbread crumbs as a crust for cheesecake, the rich buttery taste is a perfect complement to the filling. I may or may not have had 3 of these in one day. I won’t tell if you do as well! Shhhh! 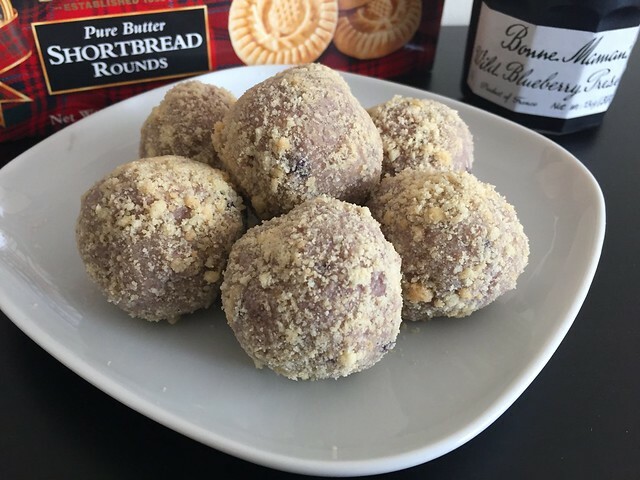 Disclosure – I was provided with Walkers Pure Butter Shortbread Rounds and Bonne Maman Wild Blueberry Preserves as part of my participation in the Walkers Shortbread Society but received no other compensation and my opinions are my own. Place shortbread rounds in blender or food processor and pulse until reduced to fine crumbs. Reserve about 1/2-3/4 cup for “crust” and set aside. In a medium-sized bowl, combine cream cheese, sugar, cinnamon, and vanilla extract. Taste for sugar and add more if needed. Add the lemon zest and blueberry preserves to cream cheese mixture. Add shortbread crumbs and stir to combine thoroughly. You may need to use your hands to make sure the crumbs are mixed in. Taste and add more brown sugar if needed. It shouldn’t be too sweet, but enough to offset the richness of the shortbread and to get that cheesecake taste. Chill mixture in refrigerator for at least an hour. Use a tablespoon to scoop out rounds of the cheesecake mixture and use hands to form into balls. Dip cheesecake balls into the reserved shortbread crumbs and coat on all sides. You should be able to get at least 9-12 cheesecake balls. Chill before serving and keep any remaining balls in refrigerator. Movie Date Night In With G.H. Cretors Popcorn! Celebrate World Penguin Day with Stonyfield! When Being on the B-List is a Good Thing!